More and more healthcare practitioners are turning to social media to disseminate health related information and communicate with customers and others in their field. However, healthcare practitioners should pay close attention to the information that they share out there to ensure that they comply with HIPAA Security Rule. Here are a few guidelines to assist you in implementing a social media strategy that complies with HIPAA standards. First, let’s begin with a basic understanding of the law. The Health Insurance Portability and Accountability Act (HIPAA) of 1996 is a federal law mandating the non-disclosure of private and personal patient information by healthcare professionals and their business associates. The exception to this rule is that the patient’s information can be shared internally within the confines of the hospital between doctors and healthcare professionals, or between the hospital and the insurance company for payment purposes. Unless the patient voids the non-disclosure, their information has no place outside of the databases of both the hospital and the insurance company. 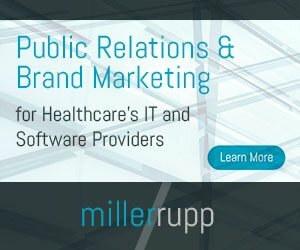 An accidental error in the information that has been shared on social media can mean that HIPAA compliance has been inadvertently violated. While the mistake may not be on your part, it could mean a host of problems for you, your business, and your reputation. Staying cautious about the information that is disseminated through your organization’s Facebook, Twitter, or other social media pages is significantly important to your career. Seek patient consent before you post anything – Before you write about a case, seek your patient’s consent. Confidentiality is a fundamental aspect of the relationship you share with those who have sought your professional assistance. Acquiring prior consent should never be overruled, regardless of whether your client’s identity has been omitted from the information you shared online. Inform before you engage – Some patients are less private about their medical conditions, and would like to communicate with you through social media. You should attempt to take the conversation into the privacy of your workplace. If your patient persists on an online dialogue, inform them of the risks associated with revealing personal information online, then acquire the patient’s consent before communicating through social media.